Purpose-built, mobile Emergency Response Vehicle (ERV) equipped with an ECOTECH Aurora™ 3000 Nephelometer provides a new level of smoke and particulate monitoring to help authorities in emergency fire situations. helping to accurately monitoring visibility and particulate levels during wild fires in North America. As the frequency and severity of catastrophic fire events around the world appears to increase, Ambilabs is helping to minimise the impact on the health of communities with ingenuity, engineering excellence and ECOTECH monitoring equipment. Deadly wildfires occurred in Northern California and Portugal during 2017. This not only resulted in the tragic loss of dozens of lives, the wildfires also caused incredibly high levels of resulting pollution. The Northern Californian fires were responsible for Particulate Matter 2.5 (PM2.5) emissions equivalent to the total annual rate of vehicle pollution for the entire state of California. During fire emergency situations, accurate monitoring of PM2.5, smoke, dust and haze gives local authorities the ability to help protect the local population from the harmful effects of exposure to increased levels of smoke-related pollution. Originally designed for use in the oil and gas industry, an Ambilabs Emergency Response Vehicle (ERV) was deployed in fire-affected areas of British Columbia, Canada in 2017 to ensure accurate monitoring of visibility and particulate levels as the result of forest wildfires. The 2017 British Columbia fire season was its worst on record, with the most extensive total area burnt, the largest ever single fire in the region, and the greatest number of evacuees. 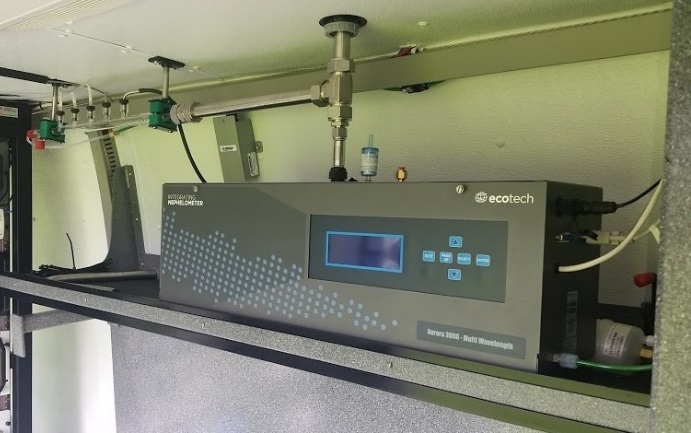 As a signature line in ECOTECH’s extensive range of monitoring products, the Aurora™ range of integrating nephelometers measures the light scattering coefficient of ambient aerosol particles with high sensitivity and time resolution. These instruments can be applied to a wide range of monitoring and research applications related to air pollution and climate. Aurora™ is used to monitors visibility in fires, haze, smog, dust storms, aircraft emissions and radiation balance in global warming studies. It can also correlate with PM2.5 mass measurement to monitor industrial and automotive pollution typically caused by vehicle emissions in the air. “In designing and deploying the Ambilabs ERVs, we rely on ECOTECH’s Aurora™ nephelometer to provide the most accurate, flexible and cost-effective way to monitor the dispersal of natural and artificial aerosols in the air,” said Ambilabs CEO, Andy Tolley. “In particular, Aurora’s versatility means it can be used in even the most isolated locations with remote controlled calibration for precision data collection, validation and reporting. These features are even more crucial in emergency situations like large scale fires,” he added. 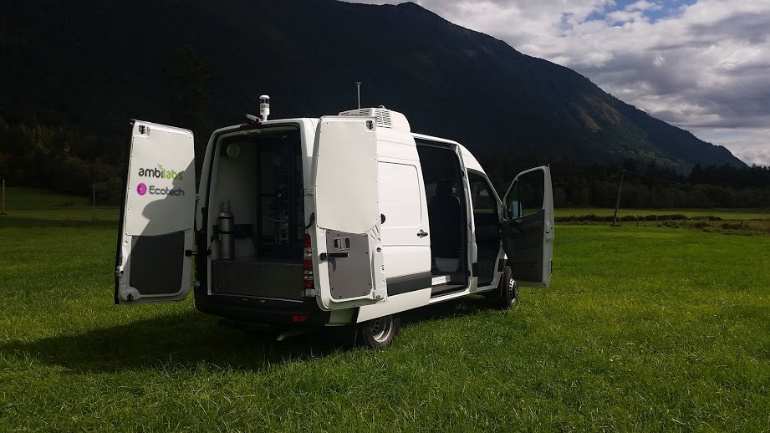 The ability to monitor air quality while the van is moving is a significant advantage of using the Aurora™ nephelometer combined with gas analysers inside the vehicle. At the heart of the Ambilabs Emergency Response Vehicle is the ECOTECH Aurora™ 3000 nephelometer. Four Ambilabs ERVs have been deployed in North America. However, the dramatic fire events of the 2017 summer/early autumn season in North America have led to an increased level of inquiries from government and environmental agencies wanting to learn how ERVs with Aurora™ nephelometers can be used for different emergency response applications in the future.